Integrated Curriculum: Integrating mathematics, linguistics, sciences, Judaics, etc. Spiraling Curriculum: Information and skills connected to and built upon previously learned material. Concepts introduced are continually reviewed and revisited. 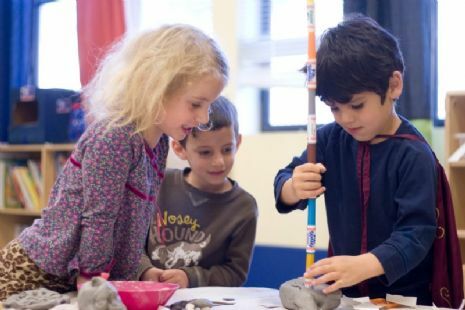 Emergent Curriculum: Our curriculum allows children to pursue their own interests and fascinations in subjects. Develop fine motor skills: play dough, scissors, writing utensils, Legos, etc.